In our first year Fieldwork: Theory, Practice and Product module, students explore the process by which an anthropological project is devised, undertaken and realised and have the opportunity to conduct preliminary fieldwork at the site of their choice, writing up the results of their ‘ethnographic practical’ at the end of the term. This year, our featured report is by Alice Neate. Alice’s bio: I’m Alice, I’m a first year Anthropology student studying at Roehampton University and I love socialising and getting to know people, which is where my love of the subject came from. For my ethnographic practical, I chose to study the effects of death and grief by observing Bybrook Cemetery in Ashford, Kent. The cemetery was not exclusive to just religious people, and there were sections specifically for children, humanists and even an area specially dedicated to the memory of the Gurkha soldiers and their families. I did this study a couple of days after Easter Sunday, which could have meant there was more memorabilia left by loved ones, meaning there was more to observe. When considering the effects of death and how people grieve, it helps to understand what these words mean. Death is understood to be the end of life, and its effects on loved ones can be distressing because it means any kind of physical relationship, such as talking or simply touch, has to end. Often in these situations, religion or some kind of spiritual belief in an afterlife can be comforting to those bereaved. Grief is the healing process a person goes through after they are bereaved, and is experienced in different ways across different cultures and even from individual to individual. I thought using a public cemetery would be ideal to observe how people grieve, by noting the different kinds of terminology used on headstones and items left behind representing the deceased’s life. When observing the graves, the first thing I noticed was the positive imagery used and often religious words or symbolism. An example of this is that many graves had phrases suggesting an angel was watching over them, or that they’re in a better place now they have passed. Several graves suggested the person was just sleeping or resting, and I noticed the phrase “rest in peace” was used frequently. This terminology could imply the way many people grieve is to almost deny the morbidity of death, and convince themselves that the separation of death is merely temporary, and that loved ones will be reunited one day. One particular grave said “memories are a golden chain that bind us ‘til we meet again”, further indicating that death is not the permanent ending of a relationship, but just a brief separation. Many graves included personal mementos of the person, such as possessions representing their passions, or quoted poems that represented their personality, making the grave more individual and special, and in turn more intimate. This sentimental touch could make the grief easier, as remembering the person’s life keeps the relationship alive. This positive imagery and religious language emphasises the importance of staying optimistic, and it could be argued that grieving effectively means the loved ones of the deceased can eventually move on and live their life without regular sorrow and pain from the bereavement. Often, the heavier grief and sadness comes at the funeral, or perhaps just in a private space. As graves last a lot longer, it could be assumed most visits are made after the most intense period of grief, justifying the positivity in the cemetery. In addition, I did not come across a single grave that said any words such as ‘died’, ‘death’, or ‘dead’, as these appear too harsh and may not help the grieving process, again emphasising the significance of positivity. When walking around the cemetery, I came across an area dedicated to children who died at or shortly after birth. The most noticeable aspect of this area is the vibrant colours, made up of various toys and again personal mementos such as football t-shirts. In this section there was an abundance of pinwheels, ribbons and dreamcatchers, and other such objects that would move in the wind. When reflecting on why this was, I considered the symbolism of moving objects around a still grave, and perhaps the implication that the spirits of those passed could be moving these objects or playing with the toys using the wind. This idea of life around the graves could be comforting to those loved ones, as it suggests the children have not gone forever and they are still making an impact on the environment around them. Often, child death is particularly tragic as there is considered to be ‘potential’ the child did not get to fulfil in their life before they passed away. Therefore, it could be observed that the grief of those suffering child bereavement could be more intense than those suffering the loss of an elderly loved one. However, another possible explanation for the amount of memorabilia could be the likelihood that the deceased has more living relatives and people who care for them. In comparison, it is probable those who are elderly and pass away are often joining older relatives who have also passed away. Furthermore, the kind of grief experienced from deaths that are not so shocking is different, for instance if an elderly person is ill, the loved ones have time to prepare, and their death is more expected and therefore those bereaved can adjust more easily and accept their death more readily. This is not to say these deaths are not as difficult to process, as bereavement affects people in different ways, but the abruptness of a child’s death can make grieving more difficult as it is harder to accept the death. Another aspect that became prevalent when walking around the cemetery was the unspoken rule of respect. For instance, even though there were not any signs to say you cannot do certain things, and it was not a predominantly religious cemetery, it still felt rude and morally wrong to do certain things such as swear, smoke, talk too loudly or walk over any graves. When reflecting on why this was, it occurred to me that we do not have this same respect for those who are living; in public places many people do these things without a second thought. Do we respect the deceased more than we respect the living? Perhaps the ‘better place’ often referred to is actually a place in social status, as it is considered immoral to talk down upon somebody who has died, despite this possibly not being the case when the person was alive. Again, this positive thought that a person has been upgraded to a better place in their death, whether taken in the religious sense or not, could help those close to the deceased grieve more easily. A possible explanation for this respect could be that cemeteries often feel like a personal insight into somebody’s life, a similar intimacy level as being in somebody’s house. Because of this privacy, it would appear disrespectful to do anything that could come across as vulgar or bad-mannered, such as swearing. This could imply that, particularly in Western culture, grief is made easier when those who have passed are seen in a positive and humble light. Additionally, I also found an area of the cemetery specifically meant for humanists. Instead of headstones, humanists plant a tree in memory of their loved one, and have a small plaque including their names, dates and a short message. A tree usually has symbolic connotations with eternal life and growth, so by starting a new life when one is lost could mean each tree represents that person. This is positive and suggests that life has been transferred, not ended, which again is positive imagery and could make the grieving process easier. Many of the short messages next to these trees focus on the positive aspect of death, as opposed to the other graves that focused on the positive aspects of their life. For instance, one plaque read “you will shine brightly in our memories as you did in life”, implying when a person dies they still live on in other mediums such as memories or stories. Another reads “our love follows you to your new home”, further emphasising those passed away have not gone but have just moved to a different place. The idea that a loved one has gone forever is something incredibly difficult to deal with, so believing that those people are still here, just in a different form, can be reassuring and can ease the grief an individual experiences. Particularly compared to the more disheartening messages, such as one which read “gone is the face we loved so dear, silent is the voice we loved to hear”, which really focusses on the sadness and tragedy of the death. A problem with studying a cemetery for a potentially extended period of time is that using a field site where not much changes can mean there is a limit on what one can talk about, compared to places that are ‘living’ and constantly changing. Once the environment has been observed and analysed, there is not much more to comment on besides this. Furthermore, people grieve in different ways and some people prefer to grieve in private, so this may not be an accurate representation of our culture, as many people do not get graves but perhaps sprinkle ashes in a place that has sentimental value. Even if I were to study British culture alone, I would still need to compare graveyards or cemeteries to other ways of grieving, for example funerals. Unfortunately, a problem with this is ethical, as it would be considered disrespectful and possibly an invasion of privacy to carry out research at a funeral. If I were to do this project ‘properly’, I would compare it with another site that displays grief. In America, for example, they have events known as ‘death parties’; celebrating the person’s life is a more public event that remains positive and could relate to the positivity needed in order for a person to grieve and accept the death. This practical taught me that different people grieve in pretty similar ways, using similar imagery and phrases, and memorabilia such as flowers that die and candles that represent the flame of life. As time goes on, the amount of grave visits decrease as the healing process of grief starts to work – loved ones can start to move on and accept the death, still remembering the deceased person but no longer feeling the intense sorrow that is experienced at the start of this process. A positive aspect of using a cemetery to do this research is that it is public, so can be used without ethical problems, but is still private enough to make each grave individually interesting. 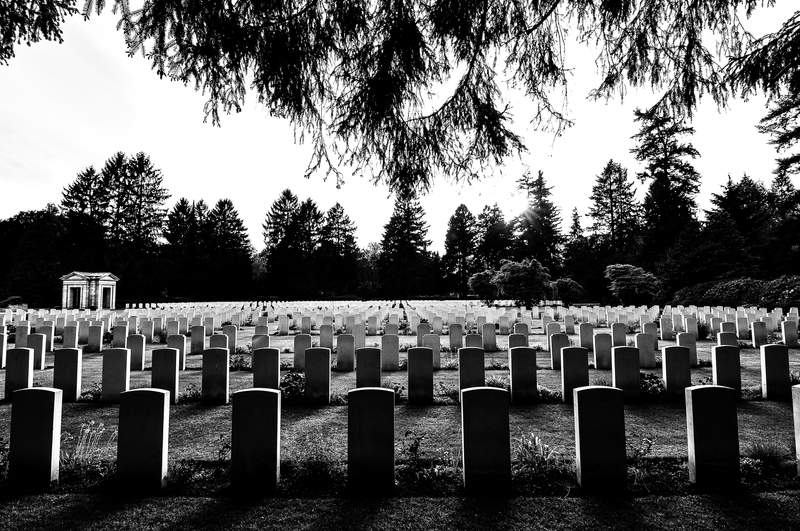 A more ideal situation would be having more sites that could be used in comparison to a cemetery, in order to research various ways in which people grieve besides visiting a grave. An area of theory I would’ve chosen to explore more deeply is how the non-religious grieve, as despite the inclusivity of the cemetery I still felt it was very much focused on religion. Furthermore, if I were to carry out this ethnographic practical with more funding and time, I would have travelled to other countries to compare the cultural differences of grieving, instead of just focusing on one place.